Allure Open Storage Unit is part of the collection's modular design and can be paired with any other Allure storage modules #220230, #220333 or #221233 to create your own ideal composition. 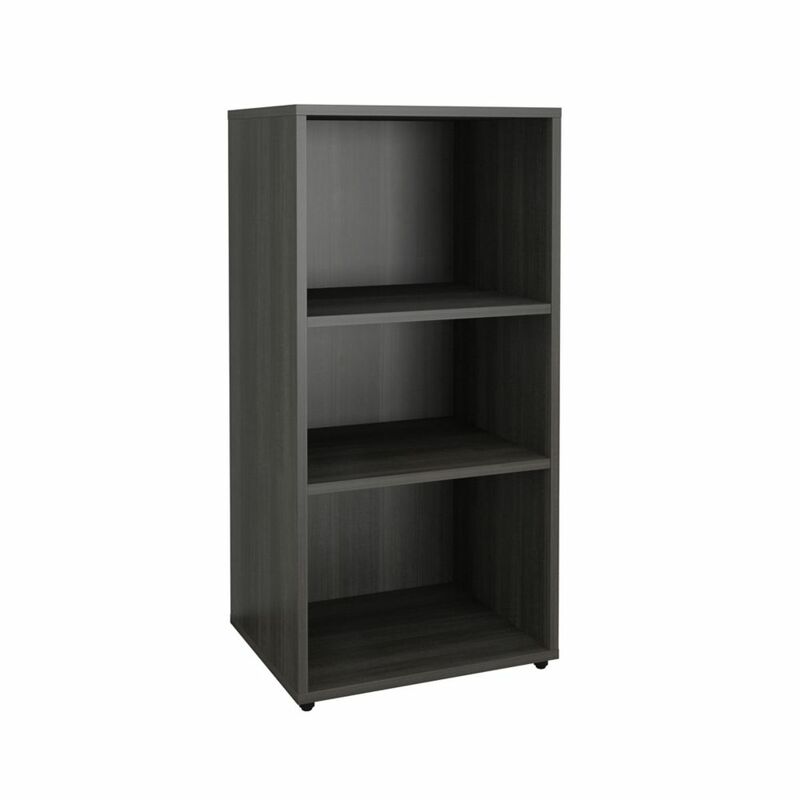 The Allure Open Storage Unit features 1 adjustable shelf and adjustable levelers. Allure Collection from Nexera is offered in a distinctive Ebony and White contemporary finish and proposes modular and flexible combinations for your entertainment room, home office area and your bedroom. Allure 1-Door Storage Unit is part of the collection's modular design and can be paired with any other Allure storage modules #220230, #220333 or #221233 to create your own ideal composition. The Allure 1-Door Storage Unit features 1 adjustable shelf behind reversible door and adjustable levelers. Allure Collection from Nexera is offered in a distinctive Ebony and White contemporary finish and proposes modular and flexible combinations for your entertainment room, home office area and your bedroom. Create the perfect work environment with the ample work and storage space of this work table and storage unit combo. The storage unit features open compartments of various sizes to fit all your office supplies. With the simple design, this piece is typically contemporary. It is perfect for small spaces, making it a great addition to any student's bedroom. Its versatility means you can even use it as a sewing or arts and crafts table! Allure Open Storage Unit Allure Open Storage Unit is part of the collection's modular design and can be paired with any other Allure storage modules #220230, #220333 or #221233 to create your own ideal composition. The Allure Open Storage Unit features 1 adjustable shelf and adjustable levelers. Allure Collection from Nexera is offered in a distinctive Ebony and White contemporary finish and proposes modular and flexible combinations for your entertainment room, home office area and your bedroom.